The Churchtown Community gathered on Tuesday 22 September 2015 for a Double Celebration. 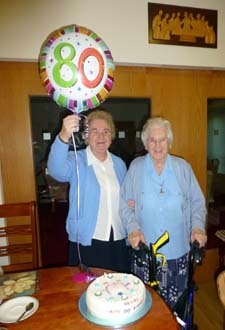 To thank God for Brigid Mary Kennedy’s 80th birthday and Helen Reynolds’ 91st birthday. We wish the Sisters many blessings throughout the year ahead and beyond.